Carey Lee is NOT an Asian woman. 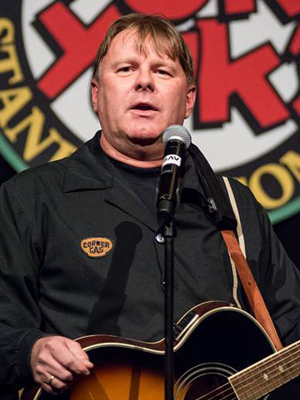 Carey Lee is a gifted and talented impressionist and guitar playing comedian who has been delighting audiences across the Maritimes for years. His song parodies, original tunes and impressions of famous people and musicians are well worth seeing in person and enjoyable both for an adult or an all-ages audience, as required. Skilled as well in Improv, Carey is able to make each performance unique and fun for everyone.